Pilots, once considered Gods carrying metal through the skies, dodging thunderstorms that bloomed in their paths as they chained smoked across the country, are now to be viewed as mere mortals. Today those that smoke are the minority. We have technology that helps us to avoid the worst of the storms. And air travel safer than ever. But the truth is, our pilots have to be better than ever. There are always reminders that we have work to do, and to never quit being our very best. Every once in awhile that perfect storm hits. Friday Flyers is dedicated to the good people of the aviation industry—Those pilots who dance in the sky for fun, mechanics, ATC, FAA, flight attendants and airline pilots… past, present and future. To all the leaders of the industry, and the men and women who inspire us to be our best, and dream the dreams to reach for stars… this day is yours. Today I am honoring all airline pilots who take their jobs seriously. Who maintain their health, keep their heads in the books, and fly their planes as if their family were their passengers. Because despite the greatest effort we will always be reminded we can do better. In memory of the lives lost, but never forgotten—May 31, 2009, AF447 fell 38,000 feet from the sky, slamming into the Atlantic Ocean killing all 228 souls on board. Two years later they pulled the black box from the watery grave, and brought with it the answer as to why this happened. 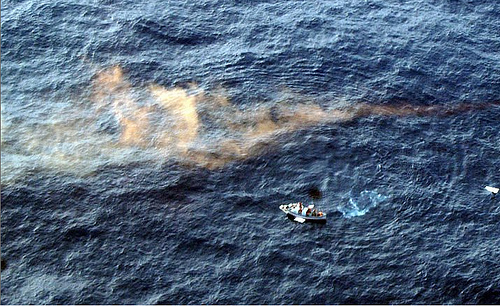 But the shocking truth that was pulled from the ocean was nothing we could have expected. Speculation, sorrow, confusion and fear emitted from the recordings that were trickled into the media during those early days. I had written a post on that accident that went viral. What happened with that post? I was asked to remove it from my blog and a letter was placed into my file. Nobody wanted to believe the truth. But what transpired from this event was a greater need to understand, and learn from this horrid accident so something like this would never happen again. I figured out how to do that. It’s called true in fiction. The events of this story inspired me to write a different sequel for Flight For Control than I had originally outlined. Flight For Safety will be on the market this summer, 2013, as will a non-fiction book Understanding AF447, What really Happened and Why. The first book I wrote, the other I have had the honor to help edit. 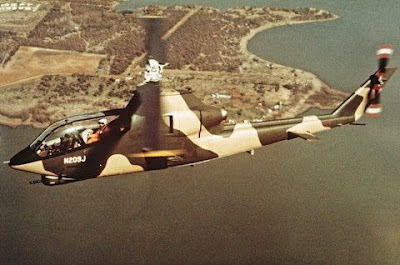 And Captain Palmer, the author of Understanding AF447, edited the flying scenes in my novel. Writing is another team event. Bill Palmer, captain and check airman on the A330, wrote the systems manuals on the A330 for Northwest Airlines, and produced a great deal of training material on the A320. 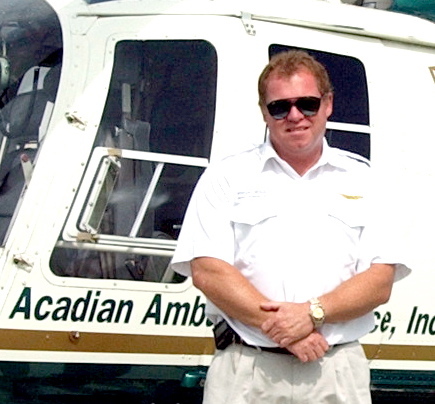 He was also my instructor during my A330 checkout, and has been a lifeline when questions arise with the Airbus. He knows the plane, and I encouraged him to write a book to demystify the details of this tragic event, and he did. It's exceptional. Understanding AF447, What really Happened and Why, is an amazing story that everyone should read to understand what really happened. Pilots will learn. The public will understand. And hopefully the family members will be able to rest that there is no cover-up, just sorrow for a tragic event. 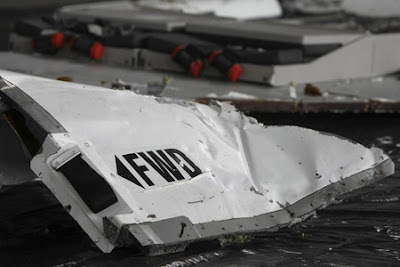 While Bill’s book, Understanding AF447, What really Happened and Why, will tell us what happened in great detail, Flight For Safety will provoke questions and possible answers as to why this happened. With life there is always a cause and effect. Sometimes it leads to death. While that letter for writing about AF447 two years ago will remain in my file for another year, Captain Palmer has been give permission to publish his book, and everyone is allowed to discuss this accident. Time heals... or maybe it provides space to understand. Yet I write fiction, with the intrigue of reality that moves my story forward. Answers will be revealed, and lessons learned from an accident that should not have happened. and will never forget the lessons learned. For all of you who have A330 questions, follow Bill Palmer on twitter at @WFPalmer, and check out his blog at Trend Vector. We will both be shouting about the release of our books soon. Bill has also set up a sign up list for those interested. Click HERE for more information. And remember to read Flight For Control before Flight For Safety is released. This is a story you'll want to start at the beginning. Hi, all. I’m back. Awesome ten day trip, which included a stop near Flagstaff to hang with fellow dual-sport motorcycle riders for a few days. I also spent three days up in Yellowstone National Park, my first visit there. It was a great trip with much needed downtime. However, my idea of downtime includes lots of things filling the day. Thanks to Karlene, her Thursday post, the startle effect, provided the inspiration for this week’s contribution by yours truly. The training she highlighted concerned an exercise in which the focus is about surprising the student. The post reminded me of stories colleagues have shared with me over the years on that subject. The theme of the stories was that students would "freeze up" when given unexpected emergencies. Let me explain. What’s interesting is this simulation is really simple to deal with. The instructor pulls one engine back (T-38’s have two engines as you know) and says, “You’ve suffered engine failure of the left engine.” You push up the other engine to maintain controlled flight. 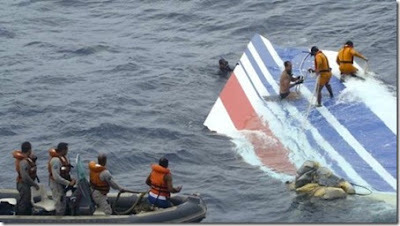 You ask a couple of questions as to other indicators that might explain why the engine failed. You pull out the checklist to make sure there are no other things to clean up. Then you fly to the airfield using one engine instead of two. Easy peasy! Unfortunately, the nature of this simulation tended to make guys freeze up because they hadn’t walked through the scenario before, even during home study. Many guys would spend too much time in the checklist trying to read stuff they already knew. Despite needing extra time to read the checklist, they wouldn’t adjust their approach to the field to buy extra time. Then, they’d mess up the approach into the field by delaying their descent. This would always result in a steep fast final approach with the power of the operating engine pulled way back in an attempt to keep the speed under control. As you may know, this is a really bad technique in this situation. 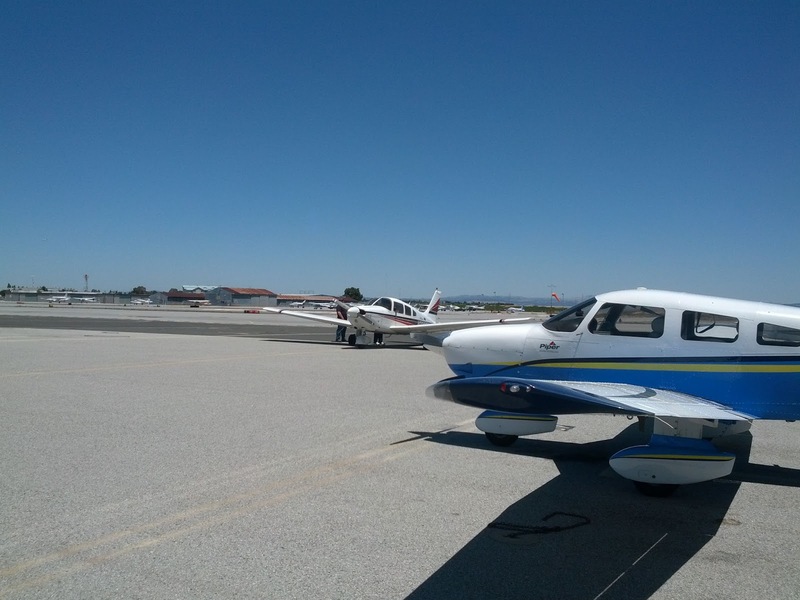 Students tend to misjudge when to push up the throttle, resulting in either a fast touchdown, i.e., a long overshooting landing, or a short dropped-in hard landing, or worse. I am a big fan of this type of training though sometimes I’m a bit amazed we need it. When I give this type of exercise, I only use simple emergencies. Still, my students seem to make things more difficult than they need to be. I suppose it’s because of the unexpected nature of the simulation, which can make anything seem more dire than it appears. Here’s a thought to start a discussion: What if the majority of our training was about unexpected emergencies, instead of having just a “module” of surprising situations among all the other things in a training program? 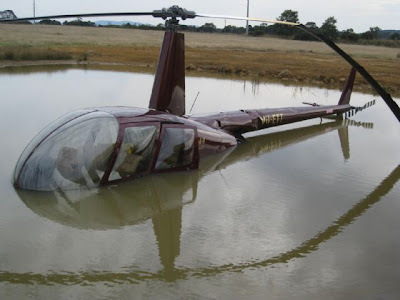 How about making the core tenant of emergency procedure training be all about the unexpected? Once you get through the competent application of critical action procedures, how about spending valuable training time on untimely normal emergencies, instead of working through the many these-have-never-happened-before-but-it’s-possible-they-can emergencies? When I was initially qual’d in the F-15, we worked through this never-happened-before-but-it’s-possible emergency called the “Double Engine Stall Stagnation” during simulator training. Here's the scenario: While attempting a high altitude, high speed intercept, both engines would theoretically stall or stagnate, requiring immediate action. You transitioned from climbing high on an intercept with both engines producing afterburner thrust to immediately dumping the nose to keep airspeed up because both engines quit. Eventually, you needed to restart both engines. Inevitably, the main generators would drop off line causing all the primary instruments to fail. Of course, we were in night/instrument conditions making us transition to the backup gauges. After dancing with the throttles through a very detailed procedure, you recovered the aircraft. This was a difficult emergency to learn. It required aggressive action and a reasonable degree of coordination to get all the steps right. Unquestionably, if there had been a real Double Engine Stall Stagnation in a simulator, I felt confident in handling it. But (and here’s a big but), to my knowledge there has never been a Double Engine Stall Stagnation in the operational world, ever. Why did we spend so much time on this emergency? Probably because it was difficult and it was in the checklist. Could we have spent more time on realistic training including more “normal” emergencies in unexpected situations? You bet. I’m sure there are many ways to improve our training. And I agree that a healthy dose of the unexpected is necessary because I have found many pilots have difficulty adapting to the unanticipated. 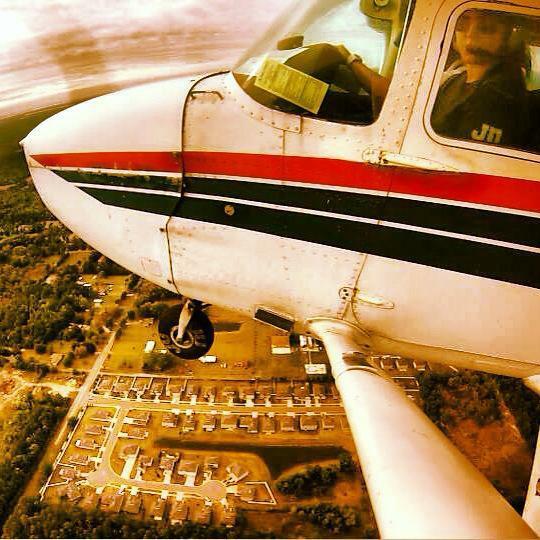 "I fly because I love the freedom, the challenge, and the thrill of soaring above the cities below." 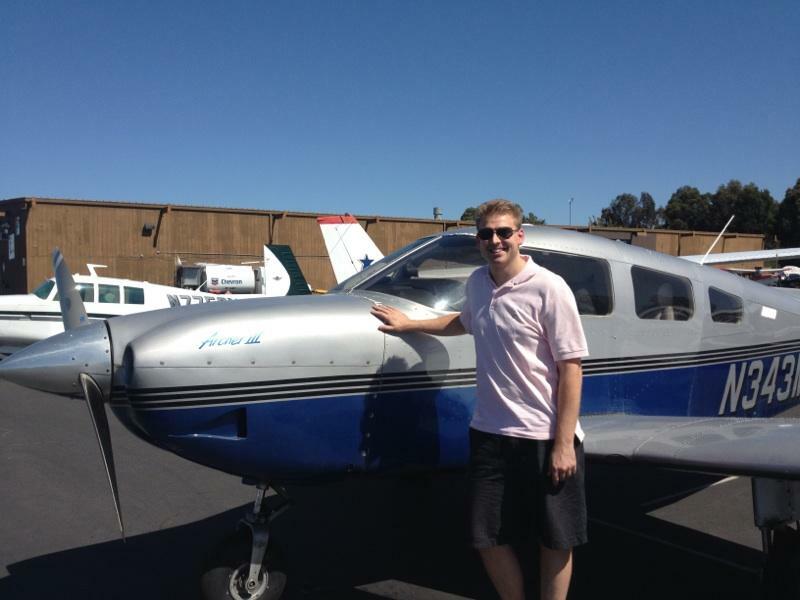 Last year, Derek Johnson was training for his private pilot's license out of San Carlos, CA and he was hit by a brilliant idea. What began as an irritant with Mother Nature, turned into inspiration to get creative. He developed an application that every pilot will want. 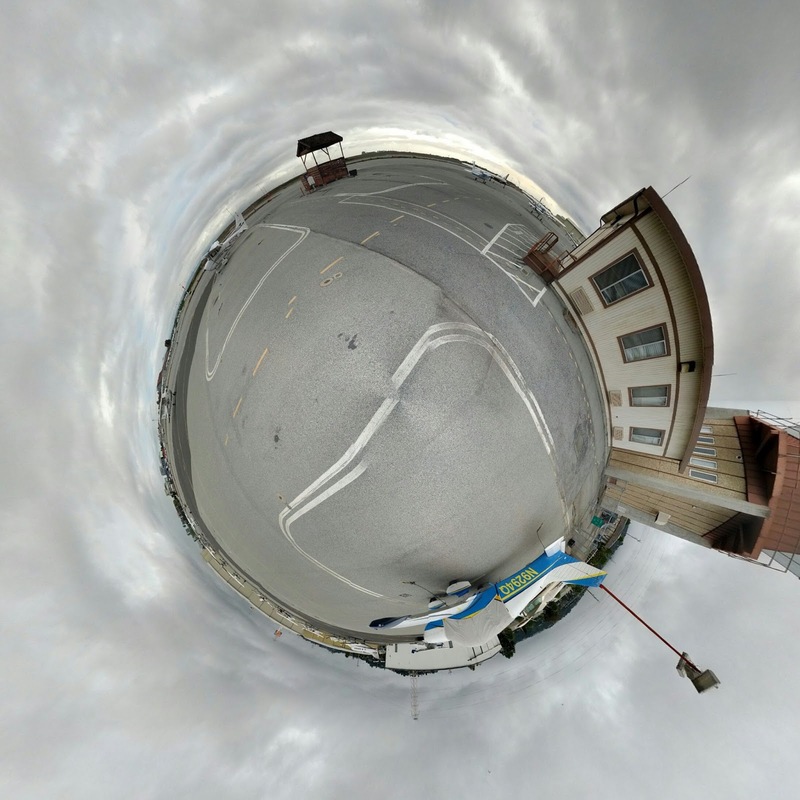 "San Carlos is notorious for its crosswinds, as well as Bay Area marine layer. With the airport 45 minutes from home and lessons in the morning, I grew tired of waking up early and spending time calculating if crosswinds were within my personal minimums, and if the cloud layer was acceptable. I knew there had to be a better way. As a mobile (iOS, Android and BlackBerry) developer, I set out to create the best aviation weather app available. Over time, the app has developed into just that. Now, when I wake up, I simply open Takeoff and it will show me all the airports I care about (nearby, favorites, along a route, etc.) and color code them to let me know if the weather there is something I want to fly in. On top of that, it provides everything from NOTAMs to Winds Aloft to help me make better decisions. We also recently added in a Weather Graphics page with hundreds of up-to-date weather graphics across the globe. We use it daily in our flying, and hope you will too!" Derek has been flying for 2 years, and has his Private Pilot's License. His application is called Takeoff Aviation Weather, and is available on the iPad, iPhone and Android phones and tablets. You can learn more about it by clicking: Takeoff Aviation Weather The site contains information, as well as tutorial videos to see the application in action. Oh... and best yet... the app works for International Airports too. Derek interviewed a pilot who has used the application. Leave Derek a comment, or questions below, and check out the interview on YouTube by clicking HERE. 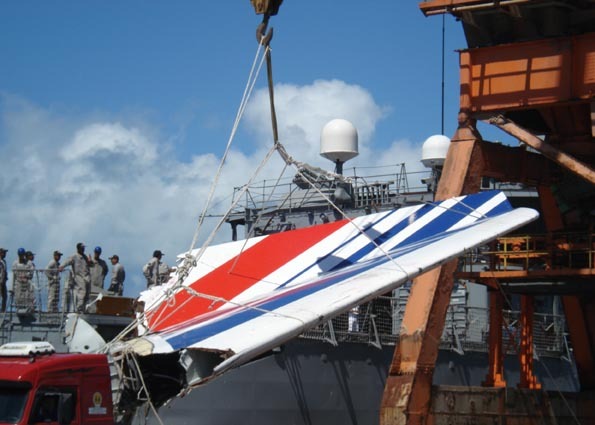 Flaps and Slats Locked ... an operational perspective with dual failures. Photo depicts Normal operations of flaps and slats. While it may not be likely, a friend of mine did a zero flap landing on this plane. I always say... never say never. As I'm finally getting to fly the plane this month, it's fun to take my studies into the airplane. Lessons learned can save lives. What would cause a Zero Flap Landing? If both flaps and slats wingtip brakes activate, a zero flap/slat approach and landing is required. The message is: F/CTL FLAPS LOCKED and F/CTL SLATS LOCKED. These two separate problems would leave you with a clean wing. Photo depicts only locked flaps. This is also a dual malfunction. But you won't find a procedure in your quick reference manual. Why? The probability of "never" is taken into account. But it's important to note that in this situation the flight controls will degrade to Alternate Law. How do you know when you're in Alternate Law? Among other indications, look for the X's on the PFD. The interesting thing about these flap and slat failures is that while we don’t have flaps or slats, we still must "position" the flap handle as if we had them. The flap handle is used to compute the speeds on the speed tape. Where as the position of the flaps themselves are used to depict the speeds on the ECAM. 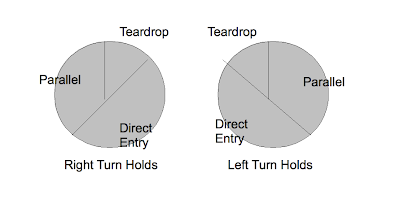 Thus, ECAM speeds are correct per position of the flaps (up)—But the speed tape is not. Why do we want to move the flap handle to "1" if we have a flap malfunction? In the Boeing aircraft we had a button to push to execute the go-around. In the Airbus we use thrust lever position to TOGA. (Takeoff/ Go-Around) But how does the plane know the difference? What if we needed TOGA thrust but we were not performing a go-around? 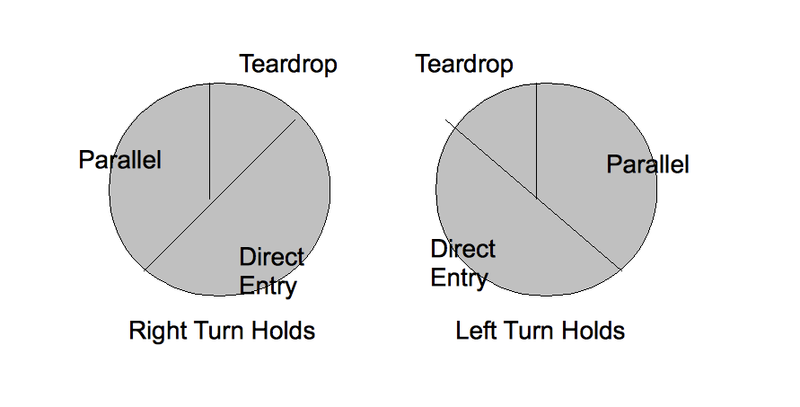 In the event of a Go-Around, the Airbus won’t transition to the Go-Around phase unless the flap lever is in at least position 1. Airbus logic is such that if we were applying TOGA power during an approach (flaps out)—we are telling the airplane to go-around. There is no button pushing. If flaps are up, you would only get Max Takeoff thrust and the plane stays locked on the localizer and glideslope. Systems knowledge is essential, especially in the modern planes. 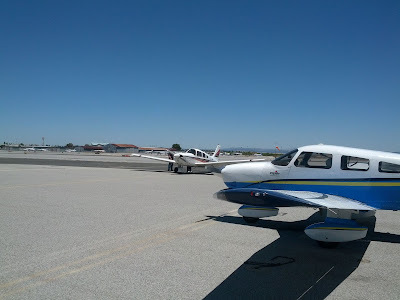 Now that pilots are conducting ground school at home and teaching themselves the aircraft systems, will they be assured they know everything there is to know about their plane when necessary? With the advancement of automation, will pilots know what to do if they lose that automation? Without the practice of flying, and systems knowledge to back them up... will pilots be at their best? What are your thoughts? Live strong, fly straight, and never fall. Today I'm heading to Tokyo! Today we're shifting gears a bit. From women flying the Air Race Classic... to an amazing helicopter pilot. For all of us who think that helicopters beat the air into submission, might be right. But it looks like a heck of a way to go. From mechanic to pilot and back again... Steve has had a great career. 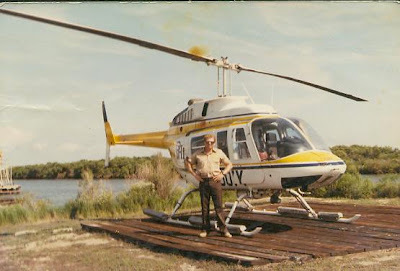 Steve began his flying as an Army training helicopter pilot honor graduate. 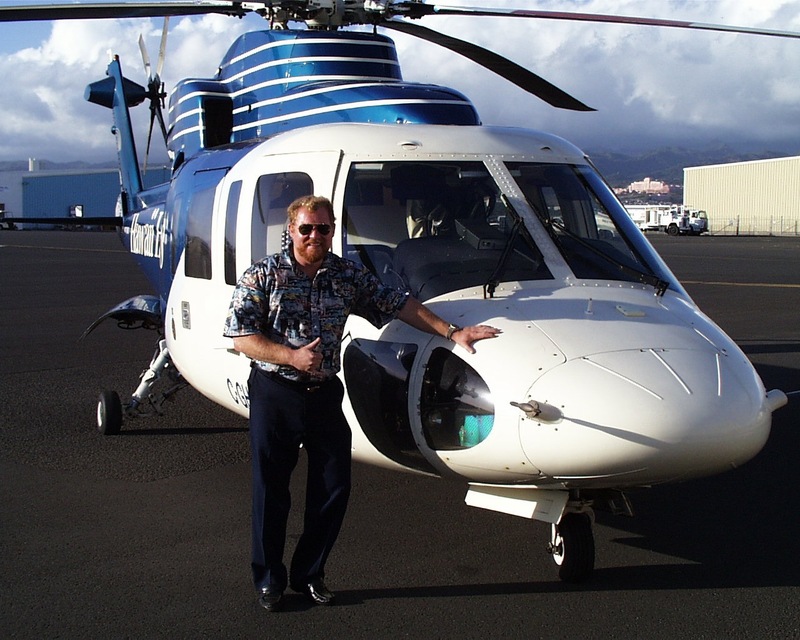 He flew OH-58 helicopters in Hawaii for his entire tour. 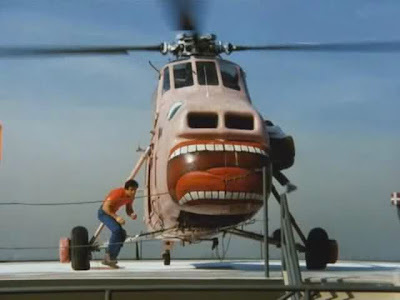 He actually started out in the Army as a Helicopter Mechanic on the Cobra in the 70's. 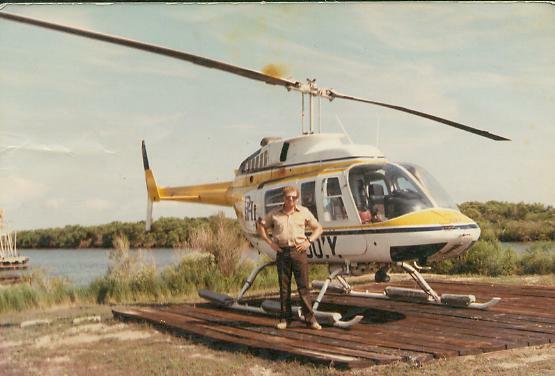 After getting out of the Army he flew for PHI helicopters, flying crews out to oil rigs in the Gulf of Mexico. Steve says, "It was fun in 100 mile per hour winds when we had to evacuate guys off the rigs as the oil companies waited until the last minute to do it. 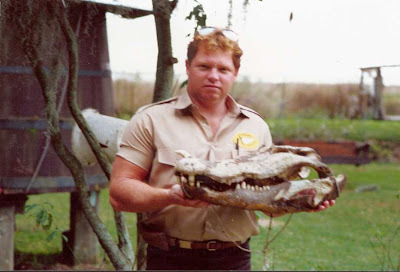 Not to mention flying over hundreds of miles of alligator infested swamps......single engine...."
He then traveled to Hawaii after PHI and worked for a couple operators on Kauai and Maui flying tours to the waterfalls, beaches, and valleys. He landed on a deserted black sand beaches on the island of Molokai. The north shore had the tallest sea cliffs in the world. 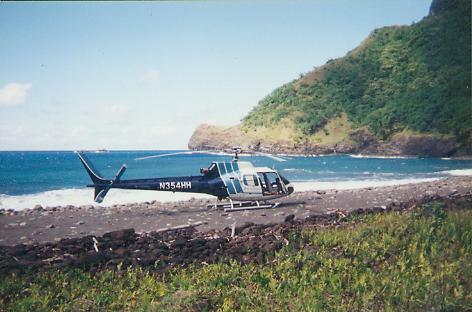 This was a beautiful tour by helicopter, as it was the only way to see it, as there were no roads. 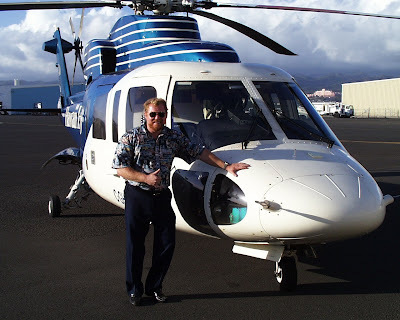 He became the Chief Pilot for Hawaii Helicopters. They were the only company that every flew the Sikorsky S76 helicopter, the same as Donald Trump's. 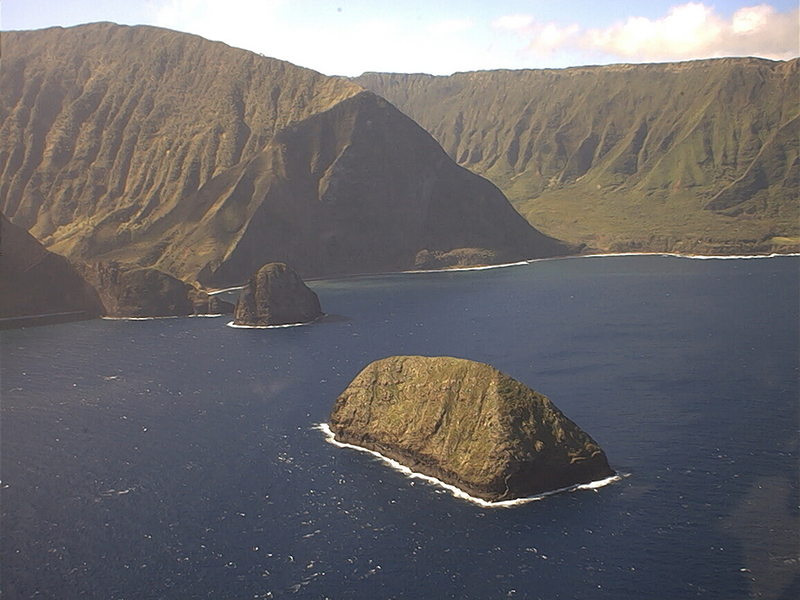 He is only one of three people to have ever flown a 76 around the Hawaiian islands. He also flew many celebrities such as Keanu Reeves, and Vince Neil of the rock ground Motley Crue. Who else has he flown? For seven years he flew George Harrison, of the Beatles, back and forth from the airport to his house on the north shore of Maui, landing on his front lawn overlooking the ocean. In addition to celebrities such as Oprah Winfrey, Wayne Newton, Joe Montana and Kenny Logins, he flew Shawn Penn who Steve say's was actually very nice, as was Steve Perry the lead singer of the group Journey. He also flew Stevie Wonder and Tammy Wynette. He flew many Pro Bowlers, and said, "Talk about taking off almost over gross!!" He flew many long tours from Maui over to the Big Island to see the active volcano of Kilauea. After twenty years in Hawaii and over 8,000 tour hours... it was time to move on. "I got sick of the sun and took a job L. A. doing tours of Santa Monica Beach, downtown L.A., Sony Studios, Madonna's home, etc." Steve became the Chief Pilot for Bravo Aviation flying out of LAX from the rooftop of the parking garage. Unfortunately 911 stopped the tour business out of that location for many months so he made his next move to fly Emergency Medical Helicopters or EMS. Steve and his medic in B0-105. 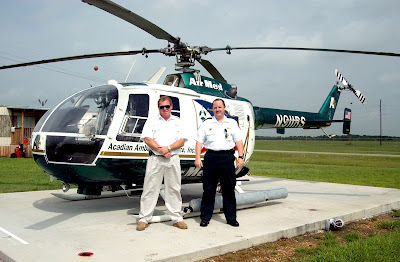 "We saved many lives over the years, landing in the most outrages places like right in the middle of Interstate I-10. 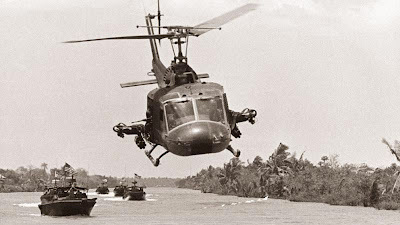 Also flew off shore to pick up the sick and wounded if needed. 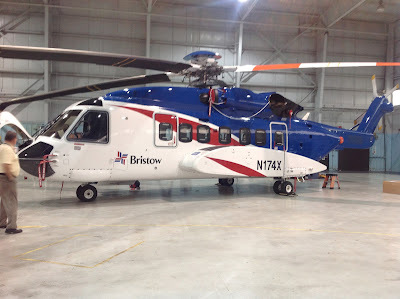 One flight I had to refuel 4 times as I went out to farthest oil rig in the Gulf of Mexico. I had to top off at the last refueling pad, then just barely make it out to the "Deep Blue" and back to fuel again. Then took the guy all the way to Texas. My medic was amazing. We would land on a horrible accident scene and he would take control and somehow get the person packaged up and in the helicopter. Night and day, marginal weather. (Less than 500/1). Believe me, if your loved ones were ever hurt, Kevin is the guy you would want to come take them to the hospital." 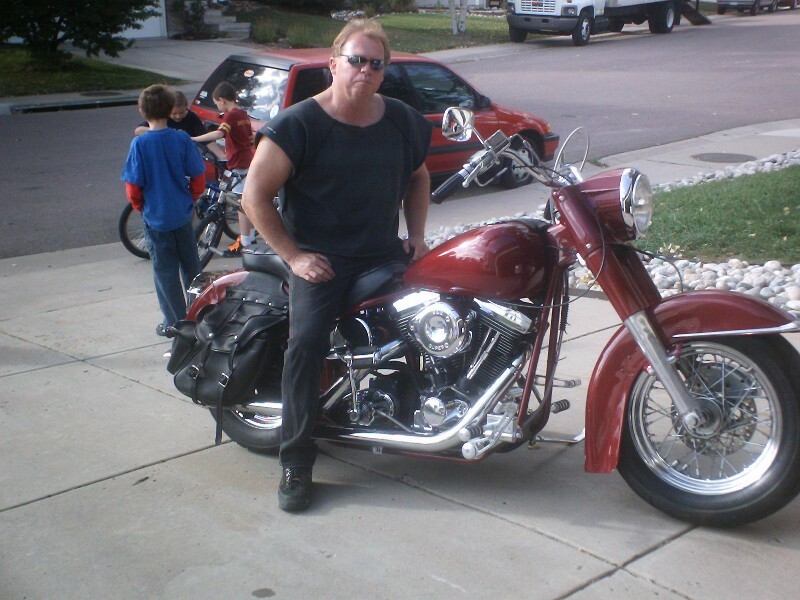 Steve found his mechanic history once again and went to work for the largest EMS operator in the world: Air Methods. After nearly 11,000 hours, he had trouble with his medical and decided to hang up his flying hat. He worked for Air Methods in their maintenance hangar and overhaul shop before being offered a job as a Director of Maintenance at Helicopter Flight Services in New York. That's where his is today. Hangar with their 9 aircraft. Helicopter Flight Services provides tours of New York, the Statue of Liberty, etc. His responsibility is to keep them flying and safe for their pilots. "Believe me, a much more technical and complicated job than flying." 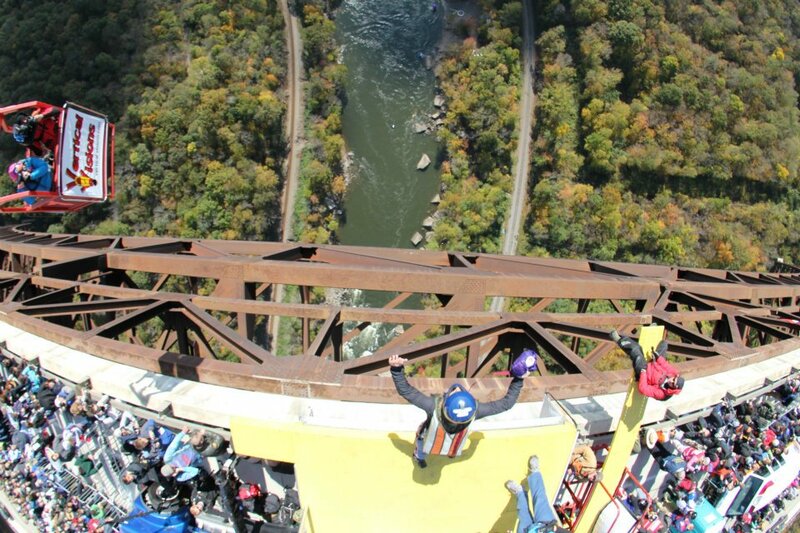 "When you are cheating death and gravity (flying), interesting things happen like the above picture (Wasn't me!). Guess they miss judged how deep the puddle was. Something you jet jocks don't have to worry about like us puddle jumpers... "
Life is all about the journey... and it's all good. Just ask Steve. 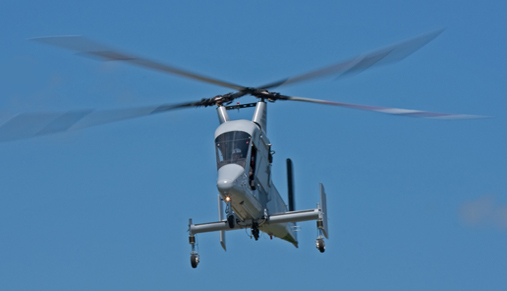 Have you ever flown or wanted to fly a helicopter? Looks like fun to me. T.H.ursdays with Tom Hill are interrupted today by his being on a 10-day trip. He is camping on his bike in a very remote area. He will be traveling toward Flagstaff, and Yellowstone NP. Tom will return next week with wonderful stories and more great photos. Today... I am sharing a story a blog reader had sent me. I am curious from instructors, and students alike, what do you think of the Altoid training? "Sometimes with new students, I would take a prescription bottle filled with small Altoids, and tell them I had a heart condition. These were Nitroglycerin pills, and if they made me nervous, I would take them in flight. As soon as they rotated, I would pour the whole bottle in my mouth, and once we got to 3-4,000 ft AGL, I would act like I passed out, and start to press the right rudder. When they started to panic, I'd come to recover the plane, and say, "Just messing with you. You're doing fine." Good times. They would be back the next day hungry for more." While this appears unorthodox, there was a time when we did unusual attitude training. One pilot would close his eyes, and the other pilot would put the plane in an unusual attitude. The pilot flying would open his eyes, digest what he saw, and fix it. Not quite like instilling fear that your instructor died...but we did have to recover. And yet in hindsight, I did have a captain fake death on his landing in a 747 and I had to take over the plane. This was during my 747 type rating in the simulator. Funny story interruption ... Recently a friend had told me of a time he had been in the simulator doing this type of unusual attitude training. One pilot closed his eyes, the other pilot pulled, yanked and banked, dove and added rudder. Then the instructor said, "Go ahead and recover." The pilot who'd had his eyes closed began working the controls, but to no success. They were going in. The other pilot looked at him. Squinted. And then said, "Hey dude. Open your eyes." Truth is stranger (and often funnier) than fiction. The reality is, the FAA is now encouraging airlines to include a module in training with a "startle" factor involved. Startle the pilots and see how they react. The final report from AF447 referred commented that the startle effect and the emotional shock at the autopilot disconnection may have been an attributing factor in the pilot's inability for a proper reaction. I am not sure if this startle factor was relevant in this case. We train pilots daily how to deal with emergencies. If you can say one thing about pilots who leave the school house, they don't crumble in the face of their plane having a hiccup. Nobody ever plans to get a V1 engine failure on takeoff. That would be startling. But pilots handle that successfully, even when it is a surprise. We are trained to respond and take action, the pilots who can't handle the surprise, are normally weeded out before they get to the line. The real question is... why and when did we stop giving 'unusual attitudes' during simulator training? Perhaps that was all that was necessary for the pilot monitoring in AF447 to be able to figure out what was happening to the plane. Instructors...what are you doing, if anything, to prepare your students for the unexpected? Students...how far can your instructor go before he/she crosses the line with the startle factor? For another great read on this same subject, check out The Startle Effect. Anytime the flap lever is moved to position 1, the slats move. The question is… when will the flaps come out? 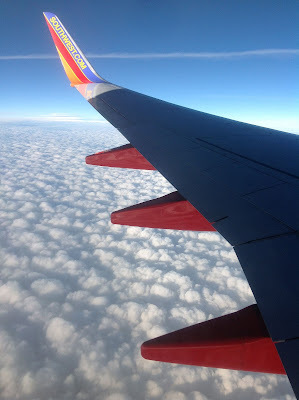 In this photo, the flaps and slats are out… thus the 1+F. Meaning, flaps 1 have been selected. On the left we see that slats "S" are in position 1, and on the right flaps "F" are in position 1. If only slats were out, then we would only see 1. When flying this plane everyone knows that Flaps 1 on arrival doesn’t really do a whole lot for slowing their plane. Do they know why? I'm not sure how many remember that we don't even have flaps when we select 1. So what would be a really good beer question? In flight when you select flaps one, how many flaps come out? Answer…. ZERO. How do you enter a holding pattern? The reason Evergreen hired me with low time was I knew the answer to this question. Well there was more to it than that, but they did give me a simulator check to see if I "could fly" and the results ended with the fact that I also knew how to enter and exit a holding pattern. The night before the check Bo Corby taught me how to do this amazing feat, without the use of my thumbs. Most pilots were sticking their thumbs up like painting a masterpiece... angling left, then right, or drawing pictures to figure out how to enter. How do we enter a holding pattern in the A330? Answer: With a pointer finger and partial gray matter. I suppose you could use your thumb, but it wouldn't be as graceful as using a pointer finger. Unless of course you're feeling a bit overwhelmed, overworked, or perhaps you could use the finger of your choice. The point is, we now enter the holding pattern in the MCDU with a press of a button, or two, and the plane does all the work. If a holding pattern exists, cross check the hold displayed in the MCDU with the holding pattern on your chart. Edit as necessary. If no hold exists... default values: Current inbound course to the fix. Right turns. 1.5 minute legs above 14, 000 feet and 1 minute legs below 14,000 feet. We have the ability to edit direction of turn, time, distance, and the course, as necessary. 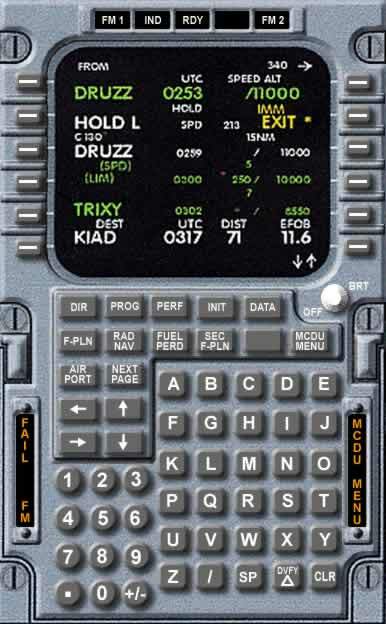 If approaching the holding pattern in "selected" speed, and more than 5 knots different from computed hold speed, "SET HOLD SPEED" will be displayed on the PFD. Latest time to exit the hold. Least amount of fuel on board to exit with alternate, reserve, and extra time. 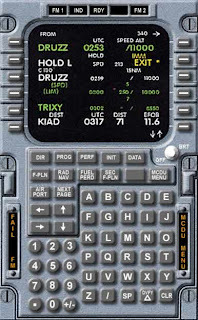 Prior to entering the hold: Clear the HOLD R or HOLD L waypoint. Prior to entering or during the hold, an IMM EXIT prompt is displayed. Immediate exit. At anytime when you proceed direct to a waypoint. Prior to entering hold: Plane continues on flight plan. While in hold: Flight returns immediately to holding fix, then continues on flight plan. Holding pattern is erased after crossing fix. When selected, IMM is replaced with Resume hold prompt. Enjoy the Journey! Next destination: Mumbai. Beauty, brains and they fly too! These ladies are not your ordinary run of the mill college students. 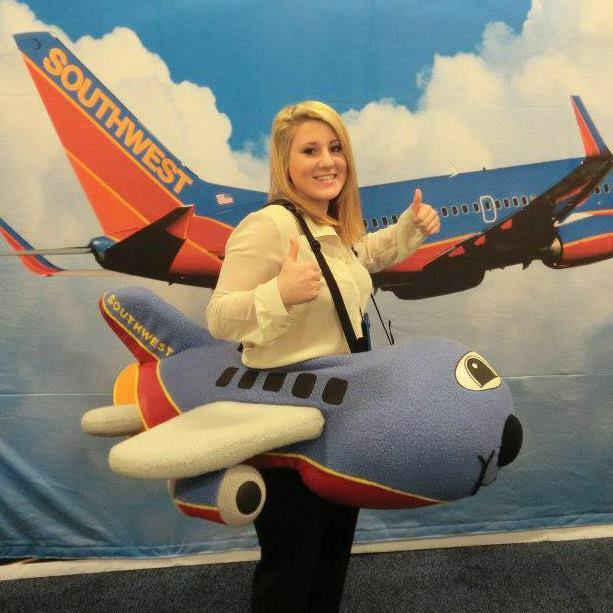 Times are a changing, and there is no limit for women who fly. In 2011 we got to meet Katja while she was still in high school, and coordinating a fly-it-forward event. Today she is flight instructing, approaching her senior year in college and flying her second race with the ARC . And her co-pilot Amanda learned to fly in Washington State, she's a pilot, jumps out of planes and is headed for the Navy. Katja and Amanda will be flying in the ARC beginning June 18, 2013 in Pasco, WA, to Fayettville, AR. But how did these ladies become interested in the sky? Their stories are unique as they are. "I didn’t become interested in flying until spring break of my sophomore year in high school (2010). While on break, my family and I were staying in Tampa. We went to the MOSI museum and viewed Operation Red Flag: Fighter Pilot in an IMAX dome theater. The film was about Air Force fighter pilots learning to stimulate a war without actually killing each other. It featured plenty of cockpit shots, aerial combat, and midair refueling. Being able to watch the dome setting gave the impression that I was sitting in the cockpit with the pilots—it was love at first sight. I later talked to my. cousin (a load-master in the AF for C117s) about my new found love. My cousin is also a CFI, so he was thrilled to hear of my new interest. He sent me his old private pilot books/DVDs and words of advice for success. As if I wasn’t lucky enough to catch the aviation bug, I soon found out that my high school offered a two-year private pilot course where you were able to obtain your certificate. It didn’t take me long before I decided to enroll; I couldn’t have been more ecstatic… although, I do remember being hesitant about financials because the course would cost me a mere $600 (I laugh about that now). I started my junior year and the private pilot course in September of 2010. Two weeks into school I accepted that I was all gung-ho for aviation and that without a doubt it was the career path for me. I realized that I wanted to progress further in the industry quicker, so I chose to graduate high school a year early. My junior year only lasted two weeks, I was now a senior. This decision was probably one of the most difficult of my life because I had to give up so much to succeed. I quit the field hockey team, I doubled up my schedule to take all of my required classes, I enrolled in night classes, I began working on a 5 month senior project, and I was flying at least three times per week. All of my hard work paid off though. In May of 2011, I watched my senior project unfold as I held a Women in Aviation event at the local airport. 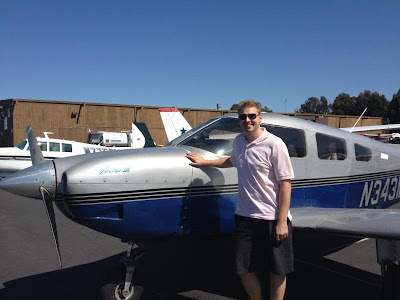 On June 20th, 2011 I had finally become a private pilot. June 24th, 2011, I walked across Rondout Valley High School’s graduation stage and accepted a regents diploma with high honors. While in the midst of completing my senior year, I was looking at colleges. 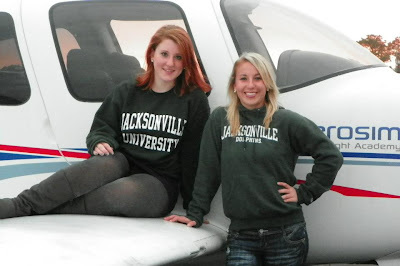 I made a trip down to Florida with my mom early in 2011 to visit Jacksonville University. 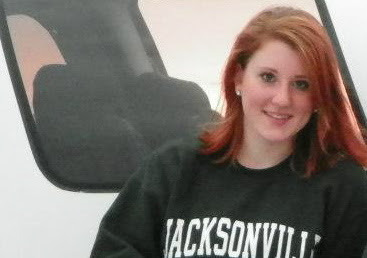 When I visited Jacksonville University I fell in love with the university. I just had that feeling that it was perfect for me. 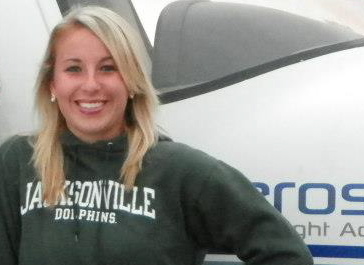 I confirmed my enrollment and began my studies in August of 2011, majoring in Aviation Management & Flight Operations. Since then, I’ve earned my Instrument rating, Commercial Multi-Engine certificate, and I’m about to finish up my Commercial Single-Engine add on. I will hopefully be starting CFI shortly! This upcoming Fall semester will be the start of my senior year (yes, graduating early again). I’m the president of our Women in Aviation Chapter, Treasurer of our Alpha Eta Rho Chapter, Historian of our flight team, an active member of Alpha Omicron Alpha, and a Teaching Assistant for the Aviation Department. I was fortunate enough to be able to race last year as one of the two Jacksonville University teams. I race because of the experience. It’s not very often that you’re able to get 100+ fantastic female pilots together all racing in small aircraft, literally, across the country. As a pilot in training, being able to experience something so grand without a flight instructor is incredible. It really puts your knowledge and skills to the test. How well we apply all of the knowledge we’ve acquired in school is crucial in determining how we compare to the other teams. It’s an honor to be able to represent Jacksonville University again and I look forward to another extraordinary race in June!" ~ Katja. 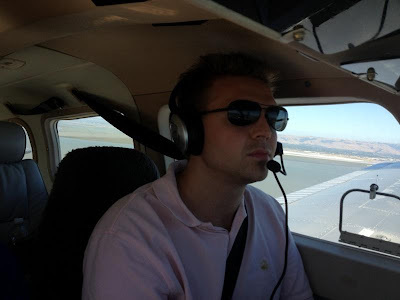 "I initially began flying by taking two flight lessons in Washington State in order to ensure that I enjoyed flying before I decided to commit to becoming a licensed pilot. Before my initial flights, I had decided to become a skydiver as well. Due to my prior skydiving experiences, I knew I would be happy in the sky, motivating me to strive for my dreams and become a pilot. Since then, I have accomplished becoming an instrument-rated private pilot and am working on my commercial multi. Also, I have simultaneously worked to stay in the sky the way that initially led me to my passion for flying: I now have obtained my USPA (United States Parachute Association) ‘B’ License and have 145 skydives and 3 base jumps. I have always had a passion for adrenaline and controlling motorized vehicles; for example, I raced dirt bikes and quads growing up. The career and lifestyle aviation offers satisfies all of this for me personally. I wanted to take advantage of the opportunity to be a competitor in the Air Race Classic for many reasons including having an amazing time, satisfying my inner competitive racer (prior dirt bike and quad races), and overall gaining an incomparable aviation experience. I have never raced airplanes before; however, I feel as if this will be a reoccurring theme. I am looking forward to seeing the country and being responsible for a half a million dollar airplane (Cirrus SR20)! Okay... there you have it! Two great women who are doing amazing things. Please join me in wishing them the best of luck to these incredible women in the Air Race Classic.